Numerous certifications are available in Texas for individuals of all educational levels. The Texas Certification Board of Addiction Professionals (TCBAP) offers the following credentials: Alcohol and Drug Counselor (ADC); Advanced Alcohol and Drug Counselor (AADC); Certified Chemical Dependency Specialist (CCDS); and Certified Criminal Justice Addictions Professional (CCJP). Additionally, the Texas Department of State Health Services (DSHS) credentials Licensed Chemical Dependency Counselors (LCDC) and Texas Counselor Interns (CI). CEU Matrix is an approved education provider for both TCBAP and DSHS and we offer course packages for all of these credentials. Installment plans are available for all packages priced over $250 and can be arranged over the phone. For individuals who have yet to earn a degree, the ADC, CCJP and CI credentials are available. These credentials all require training in addiction and/or criminal jus tice studies and completion of a standardized exam arranged through the state board. The number of training hours required to become a CCJP varies according to the level of education the applicant has attained, this is reflected in our CCJP packages. Those holding an associate’s degree are eligible to apply for their LCDC. Further requirements include completion of the chemical dependency specific training, 4000 hours of experience and passing the standardized exam. Individuals holding a master’s degree in a counseling or behavioral science field are eligible for either the AADC or the CCDS credential. These credentials also require hours of experience and completion of a standardized exam. CEU Matrix is proud to provide both initial certification and renewal training to substance abuse and criminal justice professionals. Our 40 hour renewal package allows individuals to choose their own courses from our library of over 80 courses. 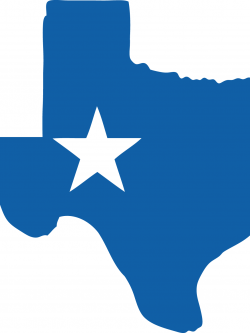 We are available to answer any questions you may have on how to become a counselor in Texas. We can also customize a plan for those who may not need all of the hours in our course packages.